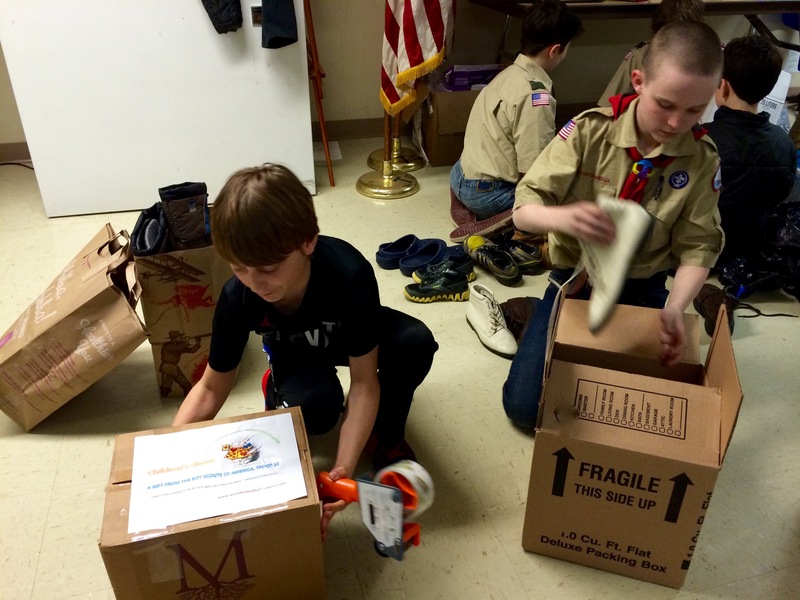 Brooks Morgan found that by enlisting the help of both his church CCD (Confraternity of Christian Doctrine) class and several Boy Scout troops, he was able to collect over 1,000 pairs of shoes. You too could do a simple project like this! When I first started collecting shoes it was hard for my friends to realize how important shoes are to children in Africa. 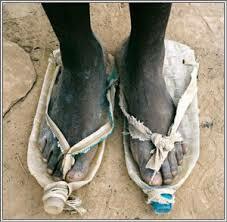 I knew from talking to Mark, and others who work in Africa, that shoes are really needed. After I showed my friends this picture of a girl who had made her shoes from bottles, kids began to understand that collecting shoes was really important. I made presentations at St. Thomas. My friends and I went in to every CCD class asking for donations. We collected shoes for one month. 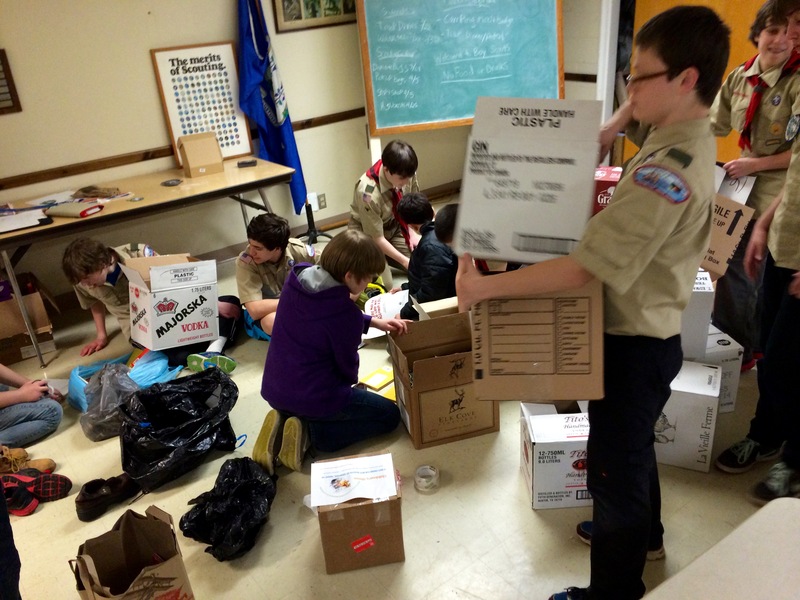 During that time I also went to several different Boy Scout troops asking for donations. All the kids involved wanted to help sort and box their own donations. We showed them how to organize all their donations and provided them with boxes, labels and tape. 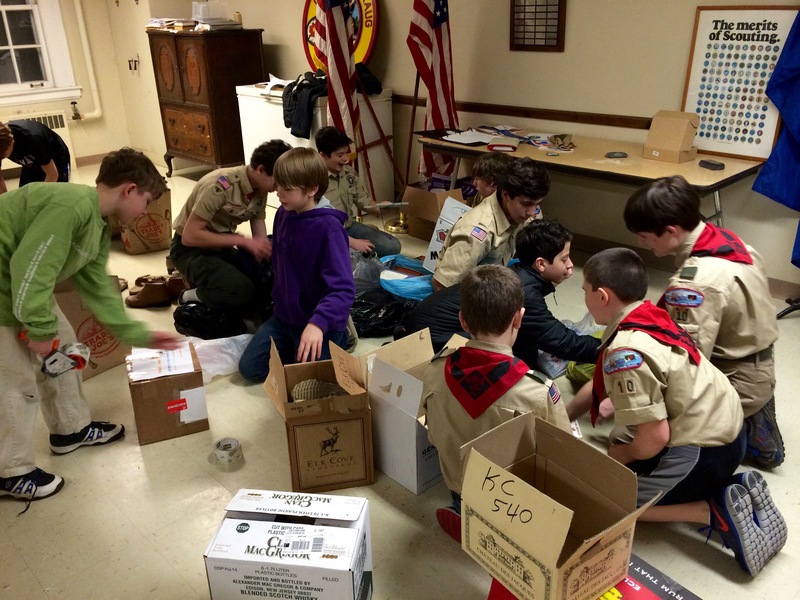 We made labels for each organization that said, “A gift from Troop 39,” or “A gift from the children of St. Thomas Church.” We wanted to be sure that everyone who donated knew that their gift was from them. 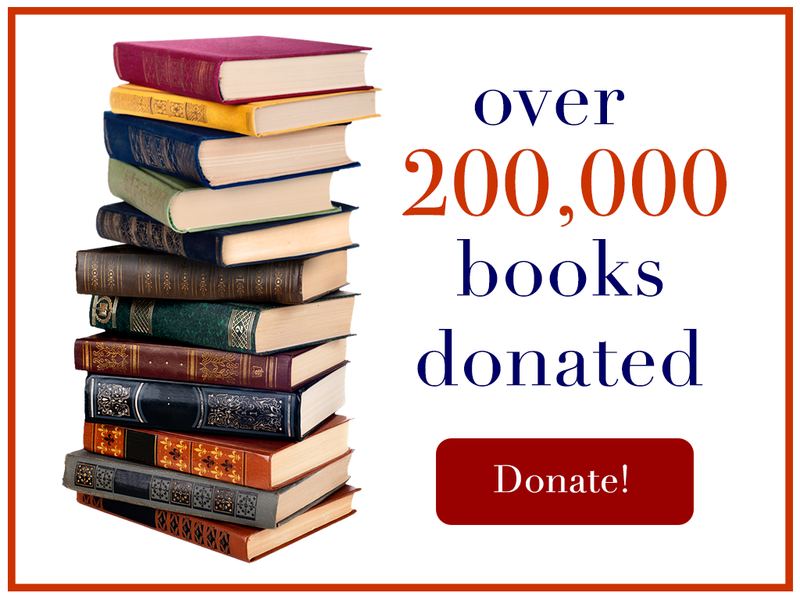 This way each person can know that their gift will be important to another person.